Just last week it was announced that Microsoft intends to discontinue the production of all Nokia feature phones powered by the legacy Symbian S40 mobile OS in 18 months time. These are your basic Nokia mobile phones that proliferate Africa and have the same basic functionality that we had on the very first mobile devices we owned on the continent over a decade ago. Indeed, the onslaught of smartphones and in particular Google’s Android powered devices in all shapes, sizes and prices has almost certainly sounded the death knell for our beloved and soon to be defunct Nokia feature phones. Its hard to imagine that just 5 years ago Nokia was largest producer of mobile devices globally ranging from smartphones to feature phones. I recall that my second phone over 10 years ago was none other than the iconic Nokia 3310 which I used reliably for over 2 years. The first mobile phone that my mother could actually use to send and receive texts was a Nokia due to its universally user-friendly interface. Indeed, across Africa, beyond affluent urban cities and towns, the large swaths of rural villages rely on simple Nokia feature phones to listen to the radio, check the time, transfer mobile money, and a myriad of other mundane daily tasks. 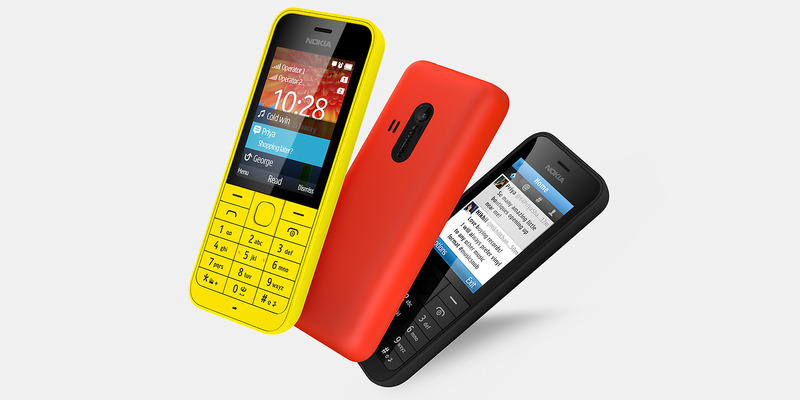 Africa at its heart IS a mobile-first continent in every sense of the word thanks to Nokia feature phones. Battery – In Africa, and especially in rural Africa, access to the electricity grid is more often than not a luxury. As a result, people have to resort to extreme measures to ensure that mobile devices are charged and functional. This means using off-grid power such as solar as well as walking or riding bicycles over long distances to charge your phone. In this respect, Many Nokia feature phones could work on standby for over 30 days without a charge and talk time of up to 24 hours. Try that with any smartphone today and you will be sorely disappointed. Smartphones have nothing on a Nokia feature phone in this respect. Durability – Nokia feature phones are damn durable! This means they would be able to work and work without falling apart of acting up. The average Nokia feature phone could drop several metres to the ground and not be damaged. It would be dust proof – an essential in unpaved rural Africa. You could dunk it in water by mistake and simply turn it off, dry it in the sun for a day and the next day it would work! It would be easy to get repaired, even in the African village ‘fundi’ shop. If anything, Nokia feature phones thrived in Africa and could be handed down for years on end. Indeed, I remember turning on my trusty Nokia 3310 years later after a charge and it still worked! I do not see this kind of robustness in the latest smartphones which are fragile to say the least. Utility – Many Nokia feature phones were designed to be highly utilitarian. They would do away with the excesses and focus on simplicity. How do you explain the fact that many illiterate Africans could use a Nokia feature phone even if they could not read – thats the miracle of a well-designed product – thats its so intuitive and practical that anyone could use them – from 3 years old to 80 years old. Thats why Nokia became such a big brand in Africa. We got it and they got us. Easy peasy! Design – One thing I always loved and continue to love about most Nokia devices is their excellent design. This is more about the aesthetics of the devices. How they look and feel. How you interact with them. The texture and form factor. The size of the device. Till today, Nokia makes some of the most beautiful mobile devices out there, hands down, even if they are under-powered and simple feature phones. I am certainly going to miss that about them. Nokia make them not just practical but also simply beautiful and elegant at the same time – as only Scandinavian designers can! Internet – For many Internet users in Africa, its mobile-first from the very first click. To this end, Nokia invested a lot to make sure that Internet use on its feature phones would not only be good but would take consideration of our constraints like slow bandwidth and compression to reduce the size of images. This meant that African mobile internet users could sample the web without breaking the bank. If you look at how smartphones work these days they assume a bandwidth rich experience which is cost-effective which is not the case in Africa. Yes, smartphones do make for a better Internet experience but the caveat is that they are also data hogs which in many ways is not ideal for a market like Africa. Affordability – The last thing that Nokia feature phones had going for them is their affordability. In terms of pricing, many of the really entry level feature phones could be had for as little as US$ 25.00. This means that even the lowest income earners across the continent could afford them. These are phones that would not neccesarily have Internet access but could pretty much do the basics like make calls, send and receive texts, do mobile money, etc. The barrier to entry was very low as a result. I agree with all points and also wonder how a) the rise of smartphones will help the illiterate? (will there be a special pictogram mode for them?) and b) how this bandwidth issue will be solved / addressed in the long run. I also wonder which Korean or Chinese handset maker will replace the S30/S40 line (and be as reliable).